Discover your career path and learn how Cougars lead in the workforce. Through the CoogCareers program, participants will develop their networking and job hunting skills. Participants will have opportunities to connect with employers during one on one career counseling sessions, career panels, employer mock-interviews, and networking events. Learning to lead yourself is just as important as learning to lead others. To complete the CoogCareers program, participants must complete 5 credits. Students are encouraged to search events and RSVP via Cougar Pathway. Any updates on the times or locations of workshops will be posted on Cougar Pathway as they occur. Participants must schedule and attend an appointment with a Career Counselor—please note that you must add LeadUH within the comment section of your appointment. Participants may choose from the following workshops to complete the Engage Category. Participants must complete two of the workshops to receive this credit for CoogCareers. Workshops cannot be repeated for multiple credits. All workshops will be held in Student Service Center 1, Room 106 (Building #524), unless otherwise noted. Students are encouraged to search events on Get Involved and also RSVP via Cougar Pathway. Participants may choose from the following workshops to complete the Empower Category. Participants must complete two of the workshops to receive this credit for CoogCareers. Workshops cannot be repeated for multiple credits. All workshops will be held in Student Service Center 1, Room 106 (Building #524), unless otherwise noted. Career Fairs provide you with wonderful opportunities to meet recruiters from a wide variety of industries. University Career Services, along with other campus career centers, host a variety of career fairs and employer networking events thought the year. 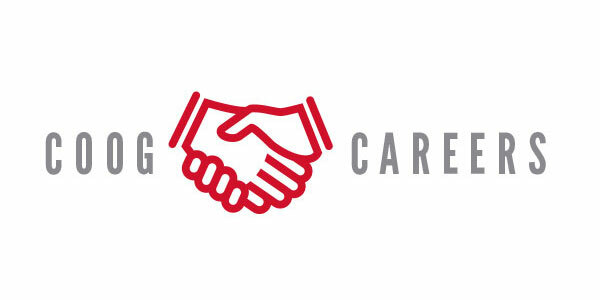 Participants must attend ONE Career Fair to receive this credit for CoogCareers. Click here for more information, including employer information and to RSVP. Discuss how attending University Career Services events or completing the above tasks helped you develop problem solving, creativity, or communication skills. Submit your resume and cover letter for the THINKING AND COMMUNICATION Scarlet Seals of Excellence. Click here for more information on the Scarlet Seals of Excellence. Email Caitlin Deis at cdeis@uh.edu once you have completed the Scarlet Seal to receive your CoogCareers certificate.